As well as many fab companies showcasing their products, there’s a seminar theatre with all sorts of hints and tips from the experts including talks from Spencer Smith, Steve Trew, Jodie Swallow and Bob Smith. Yours truly will be speaking rather light heartedly on Sports Nutrition on both days too and then there’s British Cycling who’ll be running the ‘Cycling Challenge’ and Men’s Fitness Magazine with the ‘Bleep Test’ aaahhhhhh! 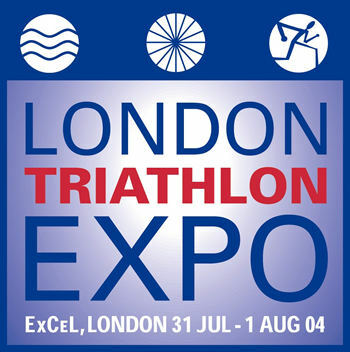 To top it all, of course, we’ll be selling TORQ products at special promotional rates, so there are many many many reasons to pop in and take advantage of this completely free opportunity, not least to watch the largest triathlon in the country. By road: ExCeL is just a 10 minute drive from Tower Bridge and a 25 minute drive from Junction 30 on the M25. The venue is also easily reached from Central London via the Limehouse Link and via the M25, A13, M11, A406 (North Circular), the Blackwall Tunnel and Rotherhithe Tunnel from other parts of the country. By rail: ExCeL is connected to the Jubilee line at Canning Town via a 3-minute DLR journey (Docklands Light Railway) to ExCeL’s dedicated station Custom House for ExCeL for the west entrance. (Prince Regent station for the east entrance). ExCeL is also connected directly to the Central, Northern, Circle, District and Waterloo & City lines at Bank and the Circle and District lines at Tower Hill via the DLR.